Over past few years, India is witnessing a progressive liberalization in health insurance sector which is leading to multiple options for domestic as well multinationals to do business in India. With public expenditure remaining stagnant and indifferent to meet the demands of 300 million growing middle class population of India, private sector is mushrooming fast. Out of pocket expenditure forms backbone for healthcare in India. Its contribution comes to around 68% of total healthcare expenditure. According to World Health Organization, it is estimated that only 3% of India's population is covered under some form of voluntary health insurance. This paves way for huge untapped market for health insurance in India. 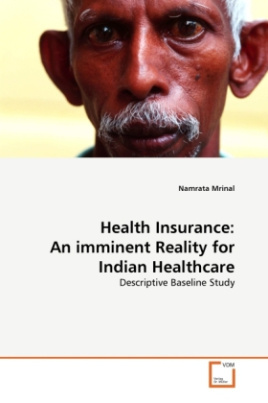 This work can provide descriptive baseline study in health insurance in India and should be useful for professional in similar field as well as healthcare stakeholders across the globe.